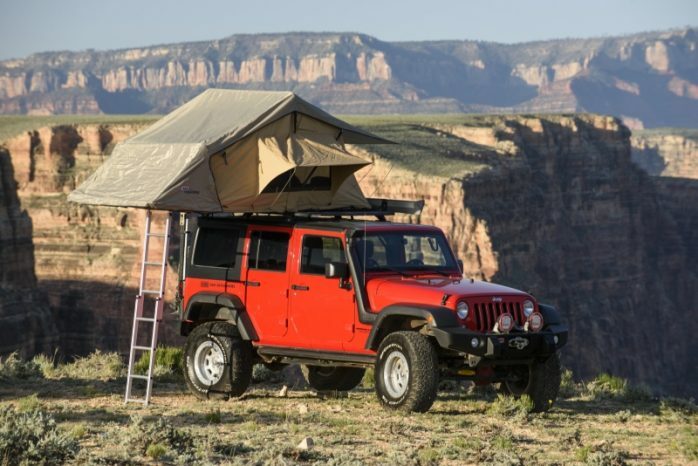 The Simpson III Rooftop Tent integrates an updated design with new materials for better strength. 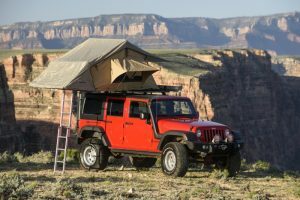 The ARB Simpson III Rooftop Tent integrates an updated design with new materials for better strength, rigidity and water resistance and now includes an annex for even more shelter. 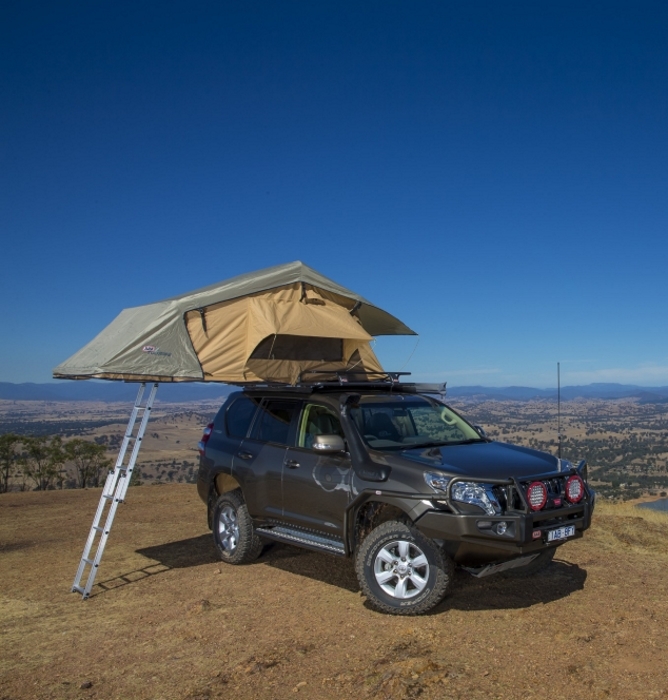 Manufactured from high quality fire retardant poly/cotton fabric and incorporating an Oxford polyester flysheet, rooftop tents are easily mounted to ARB’s purpose designed roof rack, or suitably load-rated cross bars. A retractable aluminum ladder makes getting into bed a trouble free event. Super strong 1″ anodized aluminum poles improves strength and provide corrosion resistance properties, while a high density 2.5″ foam mattress (with removable cover) ensures you’ll sleep soundly. 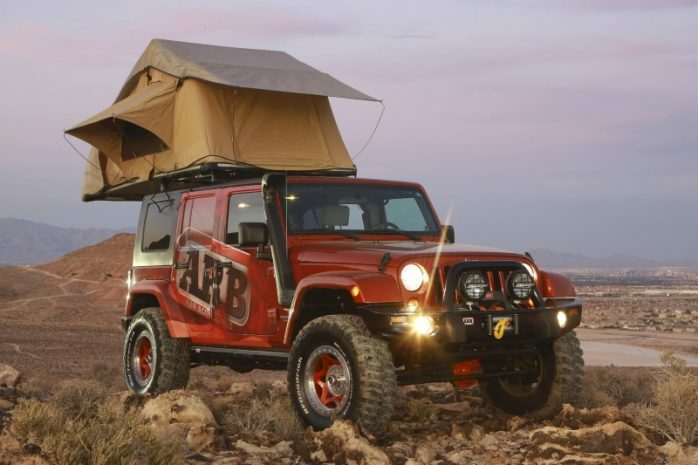 And don’t worry about mosquitos, ARB Rooftop Tents feature insect screened windows and doors. 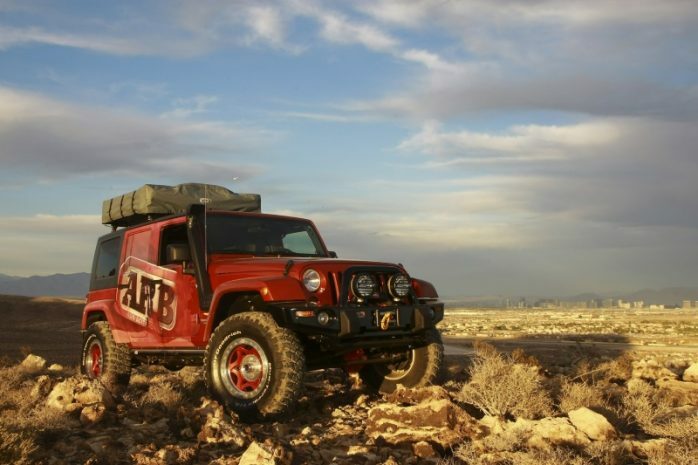 The ARB Simpson III rooftop tent delivers the ultimate in ease and convenience when traveling. 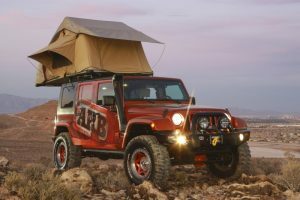 Unfolding in minutes, a rooftop tent provides sleeping quarters off the ground, protected from the elements and wildlife. 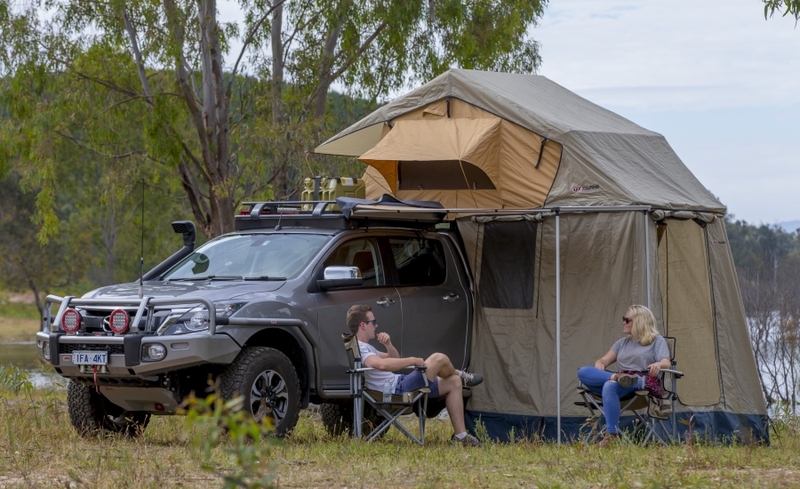 All bedding can remain inside the tent during the journey, freeing up vital storage space in the vehicle and allowing the tent to be quickly and easily packed away. Also aiding the fast pack down and setup, a unique bungee cord system keeps walls tucked in to assist in speeding up the pack down to get you back on the road faster. Manufactured from high quality, waterproof, poly/cotton rip stop canvas – 300GSM PU impregnated canvas. Incorprates oxford polyester flysheet with excellent water shedding ability – 1000mm/3ft water head. Taped & sealed seams for double protection & all weather vents for reduced condensation. 1″ diameter anodized aluminum retractable ladder support up to 265lbs. 2.5″ high density bonded chip foam mattress with removable cover for increased comfort and durability. Bonded chip foam evenly spreads weight from the body better across the mattress. 55″ wide x 94.50″ long x 51″ high (when open) 154lbs. Incorporates unique twist lock pull out all weather awning and true optional zip-on annex. Fine insect screened windows and door protecting from the smallest insects for better night sleep. UV stabilized laminated welded PVC cover with high quality vision zippers. Triple strap design..
Quick pack bungee cord system to assist when packing down tent, speeding up pack up time. Unique configuration to unfold off either the side or off the rear of the vehicle. 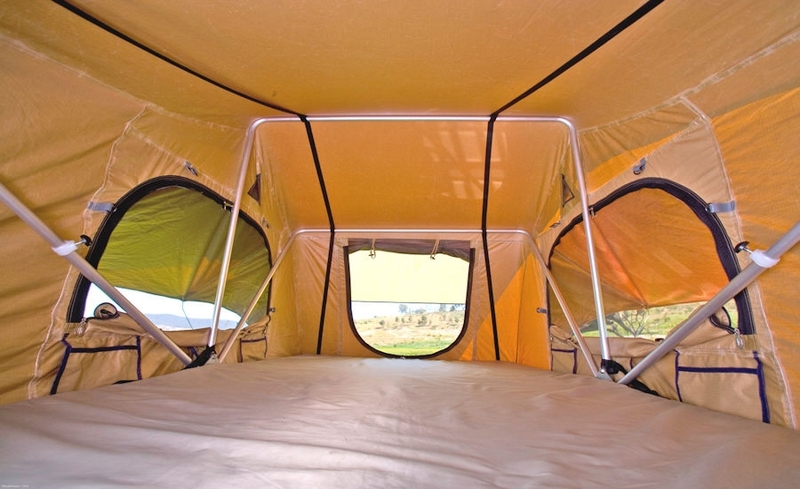 All weather entry door with grab straps to help assist getting into the tent. 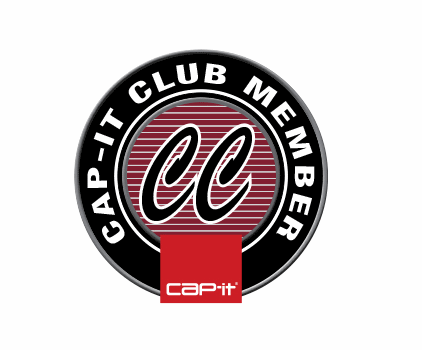 Fully backed by a 2-year warranty.